PARTICIPATING LSC’S: Illinois & Wisconsin. 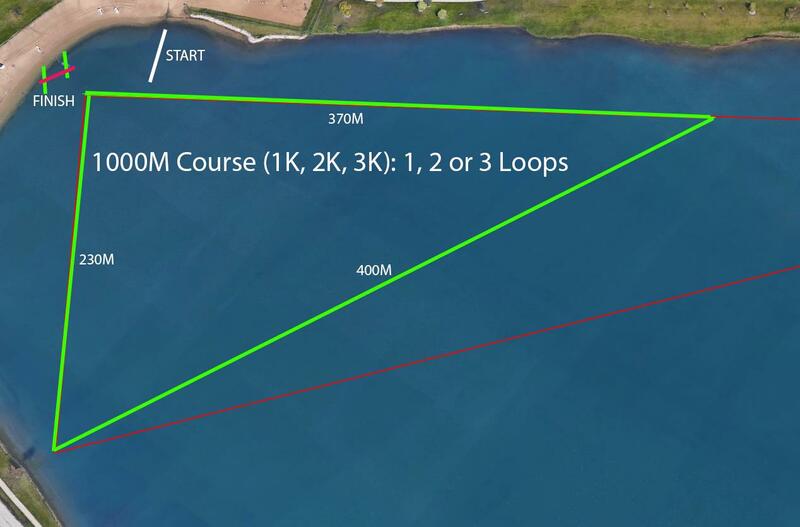 OPEN WATER COURSE: The open water event will be swum in Lake Andrea with all swims beginning and ending in the beach area. In-water start, in-water finish with a slapboard will be used. Map provided on last page. Ages and Genders may be swum combined under the discretion of meet management. 3K Awards will be presented once results are compiled. WARM-UP: Warm-up and warm down area will be in designated beach area adjacent to the open water course. This area will be lifeguard supervised. SAFETY PROCEDURES: The course will be patrolled by RecPlex lifeguard personnel and Village of Pleasant Prairie Fire/Rescue Water Safety Team. Membership: All athletes must be USA Swimming members. Swimmer’s Age: Age of swimmer on day of competition shall be the age for competition. • Please make sure that fingernails and toenails are trimmed and all jewelry and watches are removed prior to the morning registration. Swimmers must be nail-checked before body marking. • All swimmers must report to the start area before they swim with ID Card ready to swim. Failure to report could result in race disqualification. • There will be no penalty for scratching, entry fees will not be refunded. Athletes must notify the Clerk of Course if they decide to scratch from their event after completing registration. • No swimmer shall be allowed to use or wear any device that may be an aid to his/her speed. • Each age group (and possibly gender) will start separately. • Swimmers should be wearing a team cap with team name identified. TIME LIMITS: All swimmers must finish within 20 minutes of the first swimmer in their heat. Swimmers still in the water after the deadline will be removed from the course. ABANDONMENT: Where emergency conditions require a race to be halted before it is completed, the race shall be restarted at the earliest possible time. A Meet Committee will be convened if needed. SPECTATORS: Picnic tables will be available in viewing area. Spectators are welcome to bring their own lawn chairs and blankets.